(Bloomberg) -- House Democrats voted Wednesday to strengthen wage discrimination protections in a move meant to mark Women’s History Month and bolster the party’s economic message ahead of the 2020 elections. 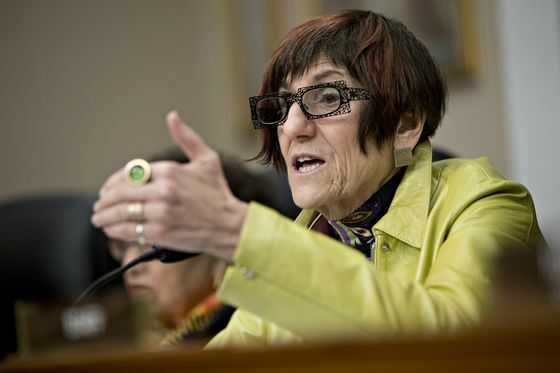 “We know people are stuck in jobs that don’t pay them enough to live on nowadays and that’s our biggest economic challenge,” said Representative Rosa DeLauro of Connecticut, who sponsored the Paycheck Fairness Act. Democrats say the bill, which aims to protect employees from retaliation for discussing pay, would help address the wage gap between men and women. DeLauro has introduced a version of the measure in every Congress since 1997. She said this version aims to close gaps in the 1963 Equal Pay Act and strengthen the decade-old Lilly Ledbetter Fair Pay Act by limiting defenses employers can make for paying some workers less, barring employers from basing pay on wage history and prohibiting paying less because of office location. The vote on H.R. 7 split largely along party lines. 235 Democrats backed the bill along with seven Republicans, while 187 Republicans voted against it. Stiff Republican opposition signals the measure is unlikely to become law under a divided government, and instead could resonate on into the campaign. Women were a key reason why Democrats won the House in 2018, voting for Democrats by a 19 point margin, according to national exit polls, while men backed the GOP by a four point margin. Women tend to vote a little more frequently than men, and were 52 percent of the 2018 electorate.